The county clerk at the center of a controversy – which led to a statewide Supreme Court recount – has ideas for the state Government Accountability Board to rewrite policy. 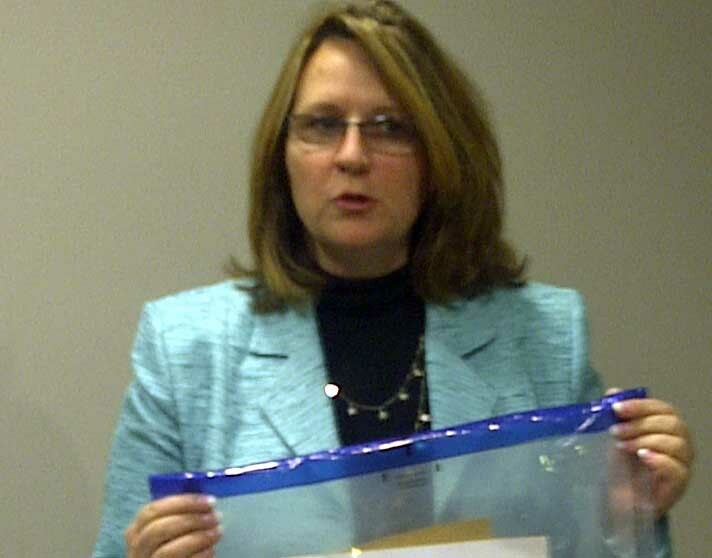 At a news conference, Waukesha County Clerk Kathy Nickolaus also narrated events following the spring election night in which she erroneously did not include City of Brookfield totals. Sensing there may have been a discrepancy with vote totals, the following morning she contacted the GAB six times within a few hours. She finally connected that day with a staff member but determined he was not qualified to answer her questions. An email to from a GAB official indicates the agency was busy with a looming recount, and suggests Nickolaus should have asked to speak to either Executive Director Kevin Kennedy or Elections Division Administrator Nat Robinson. “Given the gravity of this situation, I am disappointed that you did not take a minute or two to share the gist of the situation,” Robinson writes to Nickolaus. Since then, Nickolaus has been working with the GAB in ways to strengthen election integrity. Among proposals is revamping software and another tier of reviewers to double-check election results before numbers are made public. Nickolaus has also developed tamper resistant ballot bags, 20,000 of which have already been voluntarily purchased and distributed across the state.